Photo by Zack Smith Photography, Courtesy of French Quarter Festivals, Inc.
For four days (April 11-14), a big chunk of the French Quarter — also known as the Vieux Carré, French for the “old square” (or “old quarter”) — will be transformed into a series of festival stages, each showcasing a different brand of music either rooted in, or heavily influenced by, the sounds of Louisiana. 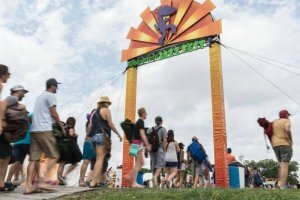 Getting around the Quarter when there’s not an enormous music festival can be daunting. Getting around when there’s a band on, seemingly, every corner, is kind of intimidating. 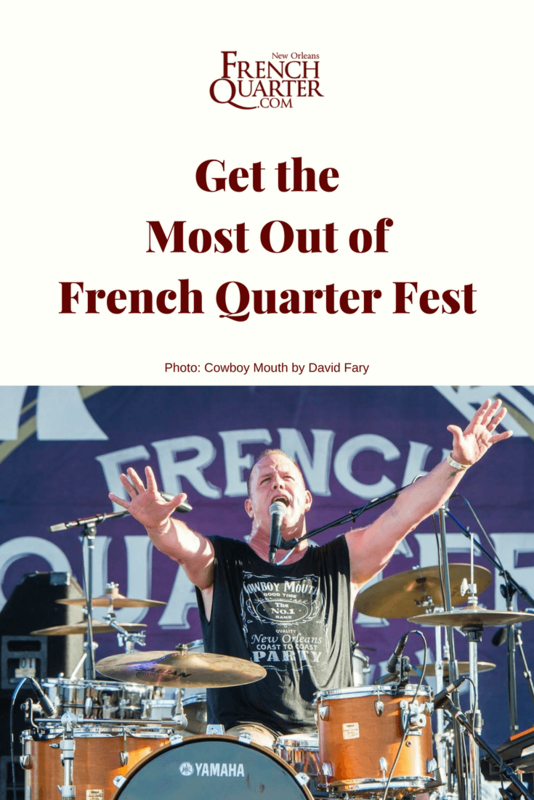 Here’s our guide to getting the best out of French Quarter Fest — a map, if you will, to the musical treasures of the weekend. Most of the FQ Fest’s main stages are concentrated along the waterfront of the Mississippi River in the French Quarter. 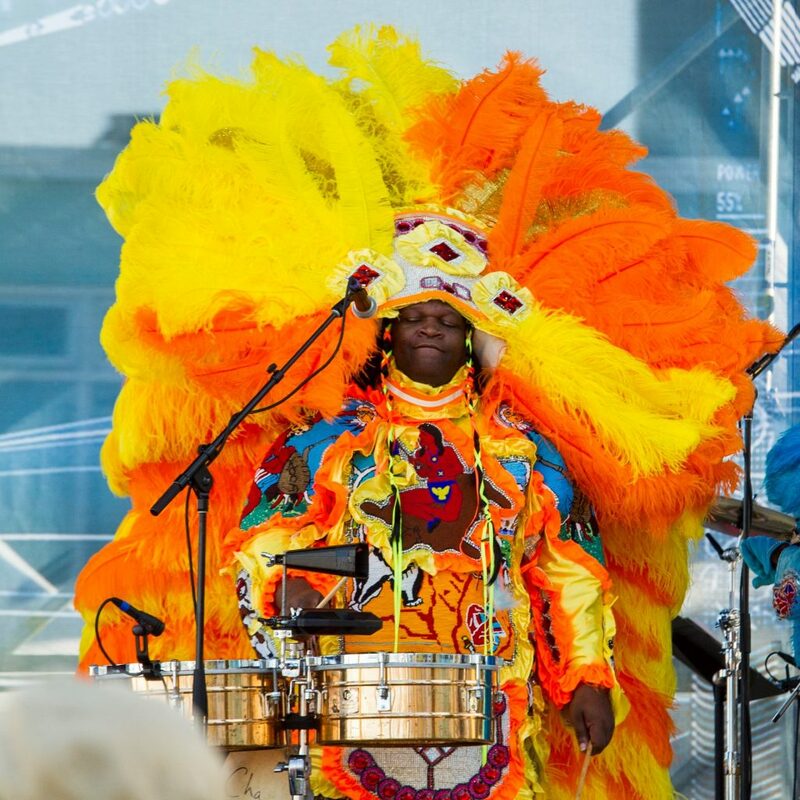 The 2019 festival also added a new stage, the Pan-American Life Insurance Group Stage, on the riverfront moonwalk, right across from Jackson Square. There you’ll see the steps that lead down to the water, marking the spot where, every Mardi Gras, the Society of St. Anne enters the waters to bid farewell to something from the previous year and pay tribute to the departed loved ones. The Riverfront will also participate again in the “world’s largest jazz brunch” — one of the festival’s signature events. Need a tropical drink to beat the heat? While we’re not a city immediately known for tiki drinks, two of the finest tiki bars in the South are located just nearby: Latitude 29 and Tiki Tolteca. The latter, for what it’s worth, is located above a Felipe’s branch if you’re in need of a burrito. The other side of Jackson Square is also a nexus of music stages and, importantly, food! Boucherie and Bratz Y’all Bistro & Biergarten will be among the vendors at the Old U.S. Mint, which is located at the corner of Decatur Street and Esplanade Avenue. The Mint, incidentally, will have indoor music along with lectures and other special events, which makes it a good spot for cooling off should the days get too hot. 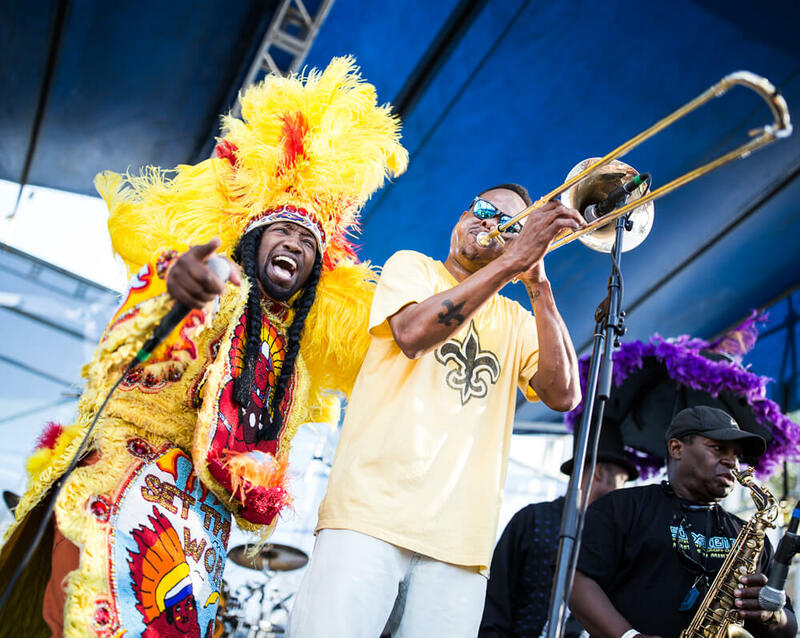 The French Market features FQ Fest’s International Stage, check it out to get a taste of music from around the world. If you’re in need of a bite to eat and want to try a classic Cajun diner, you can’t go wrong with Coop’s. If you want some liquid refreshment, Molly’s is one of our favorite neighborhood bars in the city. Usually, Royal Street is an unbroken string of cute antique shops and art galleries. During French Quarter Fest, expect that scene to get livened up by several smaller music stages. Notable for the Bienville Statue, Decatur Street is where you’ll find Cajun and Zydeco music playing all weekend long. This is some of our favorite dance music anywhere. The “town square” of New Orleans, as it were, Jackson Square is a geographic lynchpin for the entirety of the French Quarter, so expect it to be filled with food vendor booths for the duration of the fest, and as vibrant as ever. 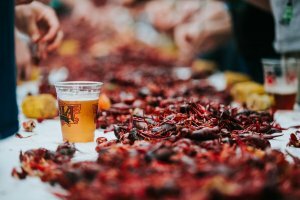 It will also be the location of many of French Quarter Festival’s special events, including the opening-day second line and the St. Louis Cathedral annual spring concert. Bourbon Street has a reputation as a hard-partying locus of bachelor parties and wild weekend-trippers, but during French Quarter Fest it showcases no less than four smaller musical stages, including the lovely Jazz Playhouse at the Royal Sonesta. The festival will also kick off with a parade on the 100 block on April 11. So, what’s the history of the French Quarter? They don’t call this neighborhood the “old square” for nothing. The French Quarter was the original city of New Orleans, founded in 1718 by Jean-Baptiste Le Moyne de Bienville. Rampart Street is named as such because it has once marked the actual city walls (or ramparts) of New Orleans. The city centered on the Place d’Armes, now known as Jackson Square, originally built as a military parade ground where criminals were hanged in public. The name “French Quarter” is a bit of a misnomer; New Orleans was under Spanish rule from 1762-1802, and it was during this period that two huge fires (in 1788 and 1794) seared away much of the original architectural façade of the Quarter. Thus, the buildings you see today retain more of a Spanish than French sensibility, as evidenced by wraparound balconies (which create a shady, breezy median space between the street and private residences — a useful architectural trick in hot, pre-AC New Orleans) and lush courtyards painted in bright colors, which form a reflective patina that wards off the sun. The best example of actual French colonial architecture in the Quarter is the Old Ursuline Convent, which is also the oldest building in the Mississippi River Valley (built in 1752). With that said, the streets of the French Quarter are largely named in honor of French nobility — Burgundy, Chartres and, yes, Bourbon. If the French Quarter marks the original layout of New Orleans, then the original inhabitants were the Creoles, people of French, Spanish, an eventually mixed French and Spanish descent. That phenomenon is eloquently realized when one considers the names of two of the main buildings on Jackson Square: the (Spanish-origin) Cabildo and (French origin) the Presbytère. It is also worth noting that St. Louis Cathedral, which dominates Jackson Square, is the oldest continuously operating cathedral in the USA, and a fine example of French Colonial architecture in its own right. Although the Creoles called the French Quarter home for many decades, they began moving out as the area became more depressed and ramshackle, especially in the early 20th century. That was when city officials shut down the vice in the red light district of Storyville. In response, the purveyors of sin crossed Rampart Street into the Quarter, and the Creoles moved out, to be gradually replaced by Italian immigrants. Later, also came the bohemians, attracted by the area’s undeniable architectural charms, as well as the members of the LGBT community seeking tolerance. In 1965 the Vieux Carré Historic District was established, allowing for the preservation of the Quarter’s historic character. The 1984 World’s Fair turned the Quarter into a bustling tourism destination, which is around the same time that many residents began leaving the neighborhood. The Quarter tends to weather hurricanes and storms pretty well. Power lines are built underground, and the neighborhood itself was built on “high ground” (well, a few feet of elevation, but that’s enough) — which keeps it immune from flooding. Today, while the Quarter is largely an area for tourists, thousands of residents still call it home.